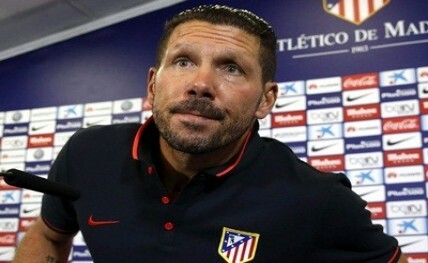 Milan, May 27: Atletico Madrid's Argentine coach Diego Simeone has said he prefers the term "opportunity" to "revenge" regarding Saturday's Champions League final against Real Madrid on Saturday. The two Spanish football clubs met in the 2014 final of the tournament in Lisbon, when the Real claimed the title 4-1, reports Efe. "'Revenge' is a negative word, because it harks back to a defeat; on the other hand 'opportunity' is about optimism, confidence and what's to come, and that's what we want to show in the Champions League," Simeone said on Thursday. The Argentine coach explained that football is like life, as there is no "revenge" just new opportunities. Simeone recalled that his side already defeated two of the top three teams in the world, FC Barcelona and Bayern Munich, and now will face the third in the final. However, he explained that Real Madrid "are different to Barcelona and Bayern, they're a much more direct team who are a massive threat from set pieces". Asked about the differences between the squad of 2014 and his current team, the coach pointed out that the "2014 team went into the final six days after a title decider against FC Barcelona, and with two of our most important players, Arda (Turan) and (Diego) Costa, carrying injuries." Simeone added that the current squad is different "because it's full of young players who are going through all this for the first time and will undoubtedly come out much more mature for the experience".